Wellness is an exciting and challenging way of life wherein you make choices that allow you to feel good about yourself, and attain your fullest potential. It is a continuous process of evaluation and change that allows you to take charge of your life and seek harmony in all aspects of it: physical, emotional, intellectual and spiritual. Health and Wellness Services, along with other units on campus, offers many programs and opportunities to nourish your health and well-being. Health & Wellness Services is please to offer to SNC students, faculty and staff the Heartsaver First Aid/CPR/AED certification course. Certification is through the American Heart Associaltion and is valid for two years. An influenza vaccine clinic is offered each fall to current St. Norbert College students, employees and their spouses. Health and Wellness Services conducts two blood drives each year in cooperation with the American Red Cross. The walking program challenges members of the St. Norbert College community to team up, count their steps and improve their health through walking. Asian Bodywork Therapy is an Eastern style of massage that takes a holistic approach in helping the body heal. A variety of massage techniques are used to help reduce muscle tension and increase circulation. Licensed Massage Therapist, Eric Peters will be providing massage services on the 3rd Thursday of every month in Health and Wellness Services (2nd floor of the Mulva Family Fitness and Sports Center). All aerobics and wellness classes are free to the St. Norbert College community. 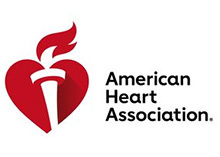 St. Norbert College has been recognized by the American Heart Association for meeting criteria for employee wellness. The American College Health Association has identified the top three factors affecting college students’ academic performance as stress (29%), sleep difficulties (20.6%) and anxiety (20.2%). The “My Plan” resource guide can assist you in creating a personalize plan for building healthy habits and implementing stress reduction strategies. This guide is not meant to replace “face-to-face” personal care with a nurse/medical provider or counselor/therapist. Please contact Health and Wellness Services or Counseling Services at 403-3266 for further assistance.